Fairfax Futures’ newly-released Annual Report includes highlights of early childhood STEM initiatives in 2017 that engaged young children, educators and families in hands-on learning experiences. Early childhood educators gained new knowledge and competencies, in addition to needed resources, that helped enrich the quality of STEM learning experiences they provided to the young children in their programs. Fairfax Futures held its 13th Annual School Readiness Symposium and worked in collaboration with Fairfax County Office for Children to support the mentoring of a cohort of family child care providers interested in strengthening their home-based early childhood programs. At its 2017 Business Leaders Reception, business and other community leaders heard from guest speakers and colleagues about the importance of investing in school readiness as key to continued economic strength and workforce competitiveness in the region. 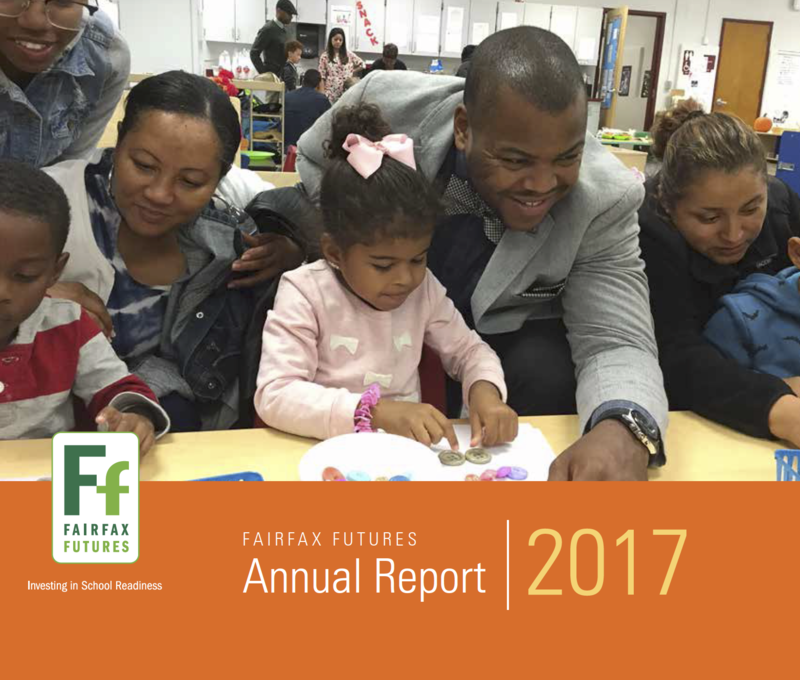 Fairfax Futures’ 2017 accomplishments were made possible through the generous support of corporate, foundation, and county partners and through the contributions of individual donors who share a deep commitment to young children’s school readiness. To learn more about our work, download the Fairfax Futures 2017 Annual Report.